Halloween Soldered Charm Mini Class Special is only $15.00!!! 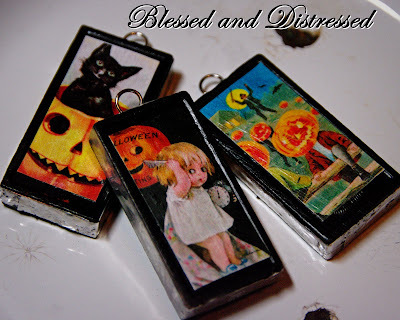 Come join us at Farmstead's Hootin' Annie's Fall Festival Oct 15th and 16th and join me as I will be teaching how to create these Halloween Cuties by taking vintage dominos, simple soldering techniques and adding vintage Halloween images to create these charms just in time for Halloween. This class will be running throughout the day both Friday and Saturday. Come back tomorrow for more exciting Mini Classes and Make & Takes offered at Hootin' Annie's Fall Festival Friday, Oct 15th & 16th! 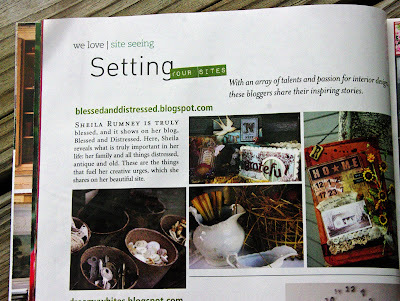 I am finally able to share that I was selected to be one of the wonderful blogs featured in the November issue of Romantic Homes under their "Setting Your Sites" column!! As the paragraph says I am truly blessed!! Thank you dear friends for all your comments. I have been so busy that I haven't had time to stop by and say hi, but please know that your comments are read and enjoyed. I am truly blessed with so many blogging friendships! Have a wonderful day, dear friends! 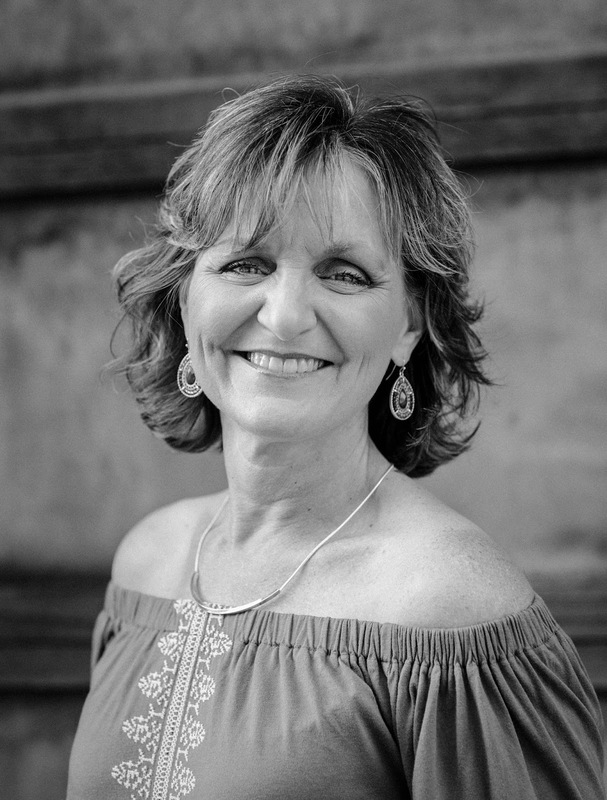 Congratulations on being published in Romantic Homes!!! I will definitely buy November's issue (and maybe get someone to sign it for me). Hoping to get to Hootin Annie's this weekend. Weather looks like it will be perfect! Congratulations on being "sited"! I've already bought my copy...just waiting for an autograph;) Love those Halloween charms! 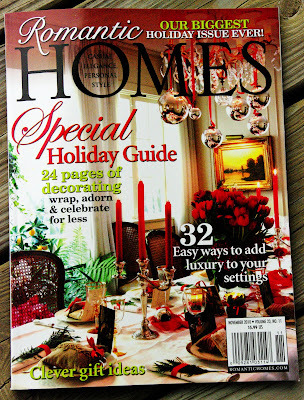 Sheila - Congratulations on the feature in Romantic Homes-it's well deserved! 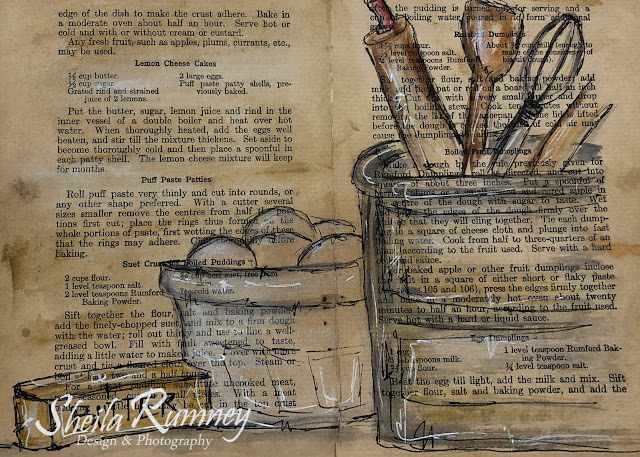 Congrats on the feature, Sheila! I've just received a copy of this magazine today from a customer of mine who posted it to me from the US to me in the UK. I'm just checking out all the lovely blogs now. She sent it to me as I've been approached by Romantic Homes too to be featured so I'm really hoping I will be too.